Are you ready for a break yet? Pat dogs, eat cookies, drink hot chocolate and mulled apple drink. 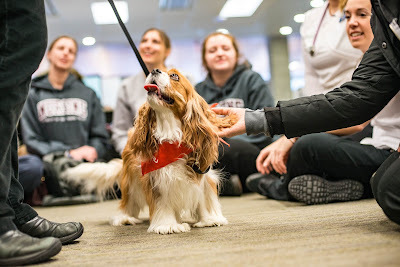 St. John Ambulance dogs Abi, Marie, Shaska, Taylah, Taz and Lucky will be in the Chilliwack campus library from 11:30 a.m. to 1:30 p.m., Monday, October 15. The drop-in crafts are run by Josephine Charlie from the Indigenous Student Centre. 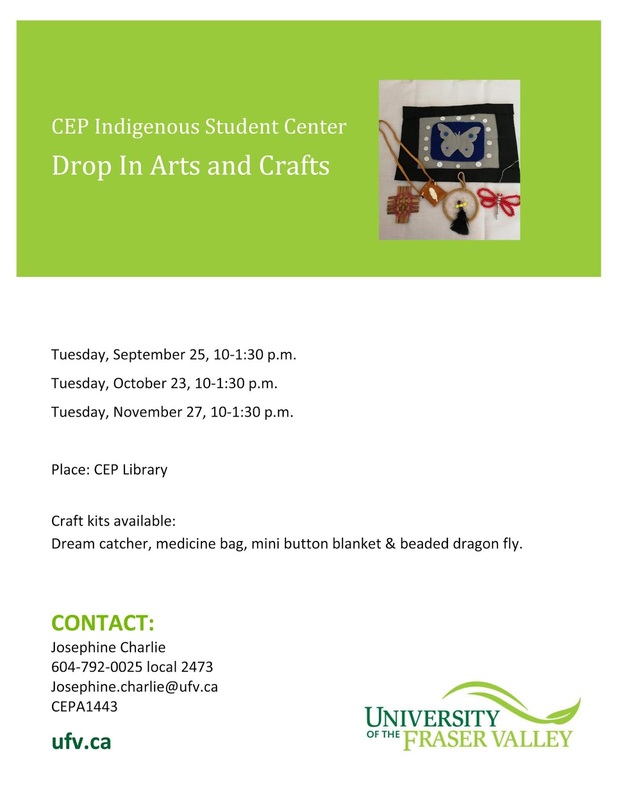 Available crafts include dream catchers, medicine bags, mini button blankets and beaded dragon flies. 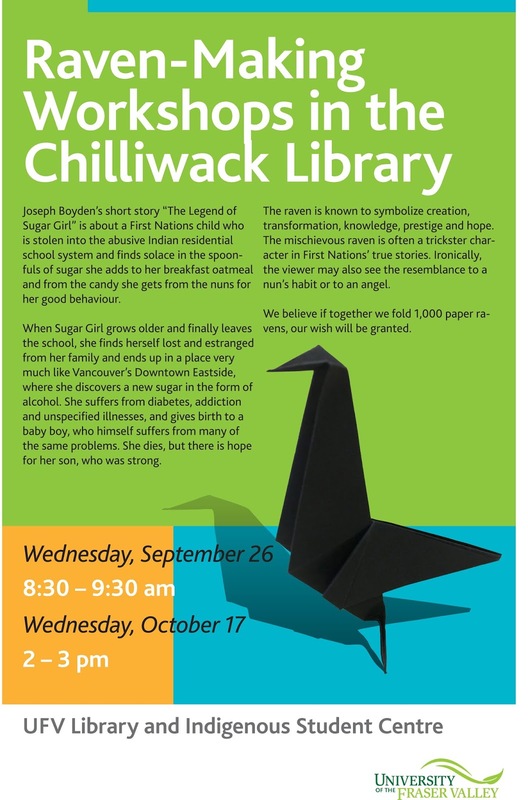 We’re making 1,000 paper ravens to hang in the CEP atrium outside the library, as a wish for reconciliation. The Raven-making workshops are directly tied to the exhibit in the display cabinet outside the Chilliwack library, which has themes of residential schools, reconciliation and hope.